The first thing you need to consider when going through your list of potential accountants is whether or not any of them have some degree of familiarity with your business’ sector. It won’t be as much help if you hire someone used to dealing with manufacturing companies if you run is a leisure business as they won’t be as familiar with specific legislation. Also, look at the size of the firm. A small to medium-sized business accountant will specialise more in the kind of accounts issues common to smaller firms. They are also likely to charge less than a larger firm and give more direct access to more experienced partners. Make arrangements to visit several firms in person to meet the people you will be working with and to make comparisons. “A lot comes down to personal chemistry,” maintains Paul Watts corporate finance partner at HLB Kidsons. “The accountant needs to be able to get into your business and show an interest in it as well as just doing your accounts if they are to advise you properly on the business.” You’re likely to be working closely with your accountant and if you don’t get on at a basic level, your professional relationship may be more difficult than it needs to be. Ask if you can speak to other clients. This is like asking for references and will be a real test of the calibre of the firm. If they are confident that their service has impressed, they shouldn’t have a problem referring you to a few people. Equally a good accountant should want to make an appointment to come and see your business. “It’s important to go out and see clients,” says Watts. “Is a quote of £500 per year reasonable – I’m looking into accountant fees for a limited company with turnover less than £50,000?” asks a Startups member. 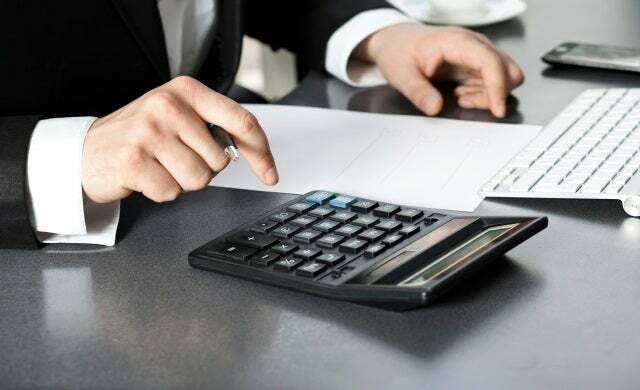 The answer, of course, is that it depends on what your accountant is doing for you and producing during the year – what exactly are you getting for that accounting fee (and how much do you need), as the level of service varies. “£500 accountant costs sounds pretty good to me. Do check what you are getting for that accountancy fee and what hidden “extras” might be lurking. I would normally quote around £575+VAT if the accounting records are good for the statutory accounts for Companies House and the full set for the tax man, together with the corporation tax return and year end planning advice. For a “full” package including directors’ PAYE, VAT and adhoc advice you would generally be looking at accountancy charges of around £100 per month. Fees are largely dependent on complexity rather than the size of the business. Accountants’ prices will also depend on the quality of your records, and of course what services are included. I doubt this quote includes director’s PAYE or VAT unless the “accountant” is not qualified. Do check for the word “chartered” – anyone can call themselves an ‘accountant’ without any formal training which surprises quite a few people. To be “chartered” you have to pass a minimum of fives years formal training and meet continuing training and other professional standards before you are let loose on the public! Also consider very hard whether you would be better off starting as a “sole trader” if you haven’t yet got a business. This may be a lot more cost effective if (a ) you make losses in the first year and (b) the business doesn’t really work out or take off as you had hoped. It’s a lot less complex to understand and the accounting fees are half to a third the cost of accountant fees for a limited company. It’s important to find an accountant you like and who treats you like a paying client. Allow each accountant to pitch to you. It isn’t just about what you want, but also what they’re prepared to offer. Also try to get an ideas of what similar clients the accountant has (businesses in similar industries or businesses of a similar size or structure) as to whether they have relevant experience. It may also be worth discussing whether it would be cost effective to outsource any bookkeeping/payroll work; some businesses do all their bookkeeping themselves using accountancy software and then pass the figures and paperwork over to the accountant per quarter/per annum as appropriate. Consider how much time you spend doing these tasks. What if your accountant does a bad job? You’ve followed all the rules and carefully chosen your accountant. But this is the first time you’ve had an accountant – how do you know if they’re doing a good job? And what do you do if they’re not? It is possible just to say to an accountant that you no longer want to work with them – you can effectively ‘sack’ the firm. But don’t rush to do this at the slightest hitch, it’s important to build a relationship with your accountant. This is difficult if you are changing every six months. Look at what you are getting from them. At a basic level, are your accounts and tax returns prepared on time? Are you being billed as agreed and are your phone calls and letters answered? Then on top of that take note of the advice they have given you. Have they come up with ideas you wouldn’t otherwise have thought of? And if not, is that because you haven’t liked the ideas – or because there haven’t been any? Problems can usually be ironed out so keep careful track of the service and speak to your accountant if you need to. But at the end of the day, don’t forget you’re not paying for poor service. I need a start up loan please.